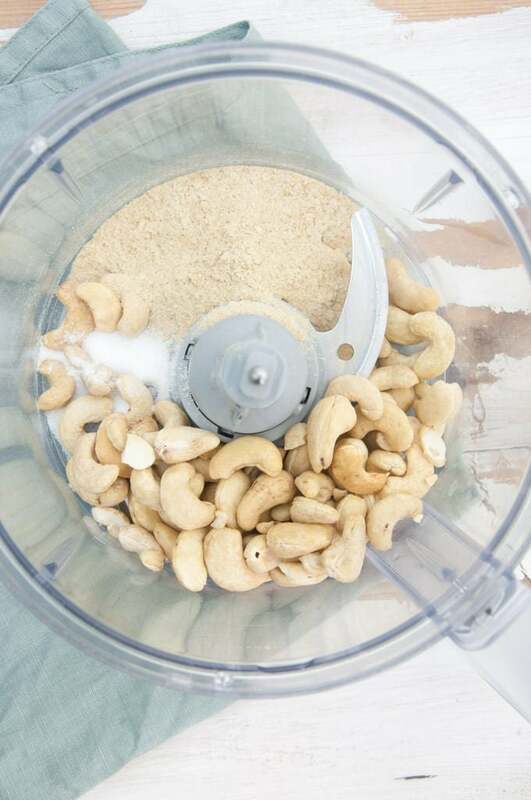 Some people make vegan parmesan with almonds or nut mixes, but I use simply raw cashews. I like it that way the most. It’s a super basic recipe, which does not even require to heat up the oven/stovetop. It is so simple, you’ve got no excuses NOT to try it. 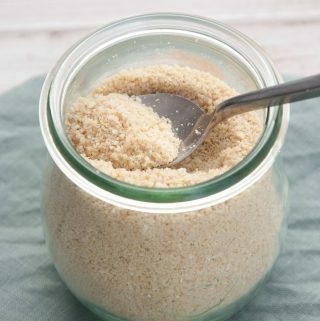 I always, always, always have a batch of homemade vegan parmesan in my pantry, because I love to sprinkle it over risotto, spaghetti, lasagna or really any pasta dish. I’ve added my favorite recipes to sprinkle cashew parmesan on at the end of the post! 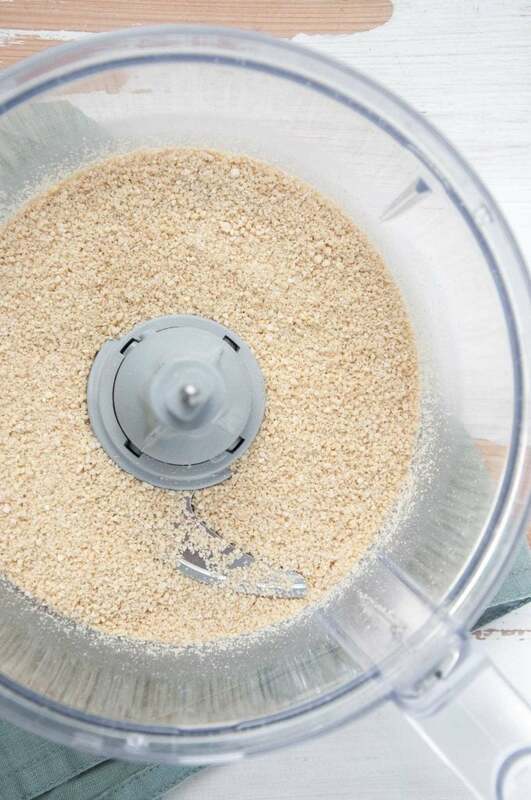 Making vegan Parmesan couldn’t be easier. … and pulse until fine. Tada! Use immediately over pasta, pizza, risotto etc. or store it in an airtight container at room temperature for months! 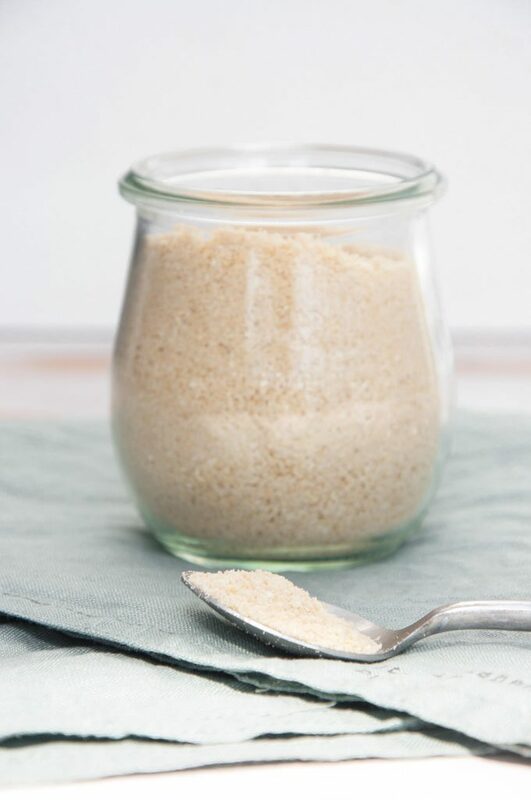 If you’re using raw cashews, nutritional yeast, and salt to make the cashew parmesan (like in this recipe), you can keep the vegan Cashew Parmesan in an airtight jar (I love Weck jars!) at room temperature for months. I’ve actually never had cashew parmesan turn bad. 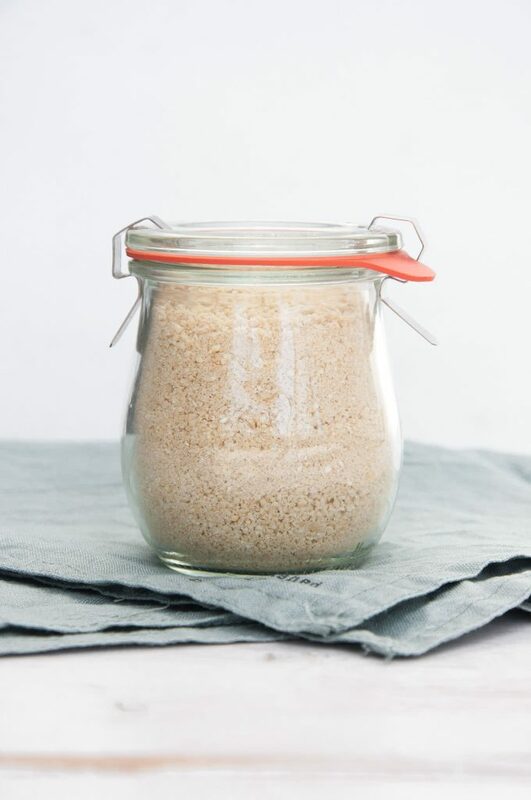 I love Weck jars for storing Cashew Parmesan! If you’re more into almonds, also check out my Almigiano (Vegan Almond Parmesan) recipe. It’s just as easy to make and it’s great if want to change things up! I hope you will enjoy this parmesan as much as I do! Let me know if you give it a try! 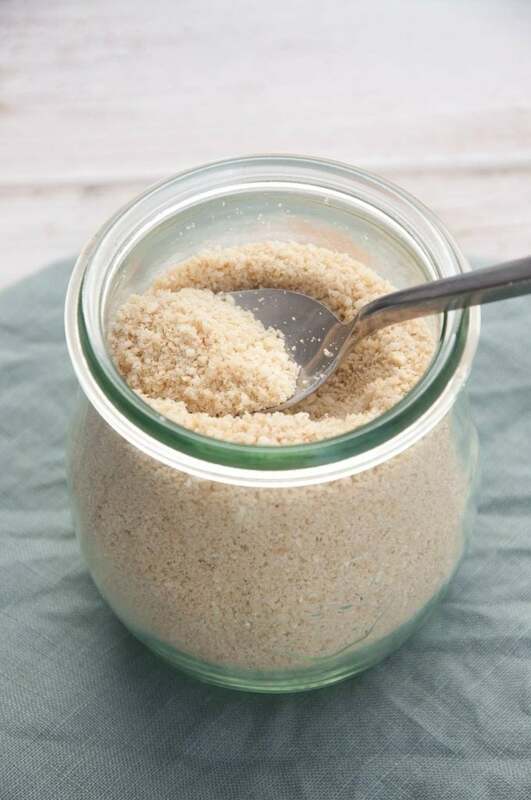 Vegan Parmesan is one of the super-easy-to-make homemade staples. You'll only need three ingredients! 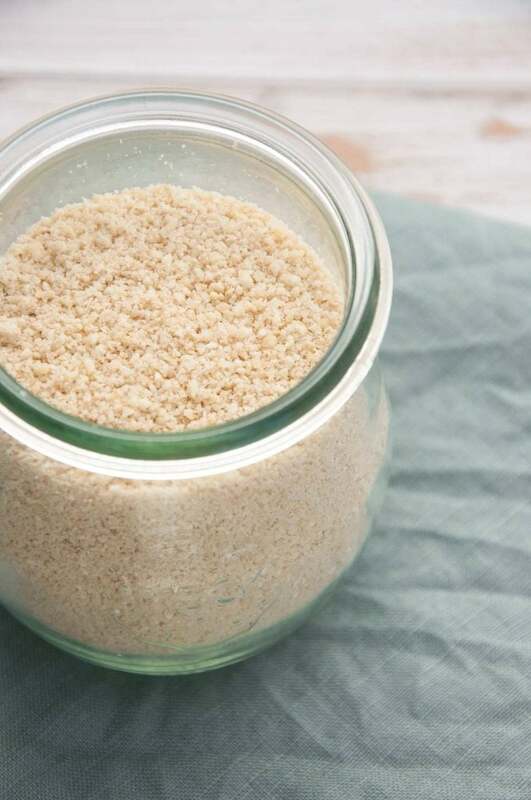 Make some vegan Parmesan now because it's perfect for pasta, pizza, risotto and so much more! It keeps for a long time. Put all the ingredients in a food processor and pulse until fine. And it's ready to use! Sprinkle it over pasta, risotto, pizza, etc.! 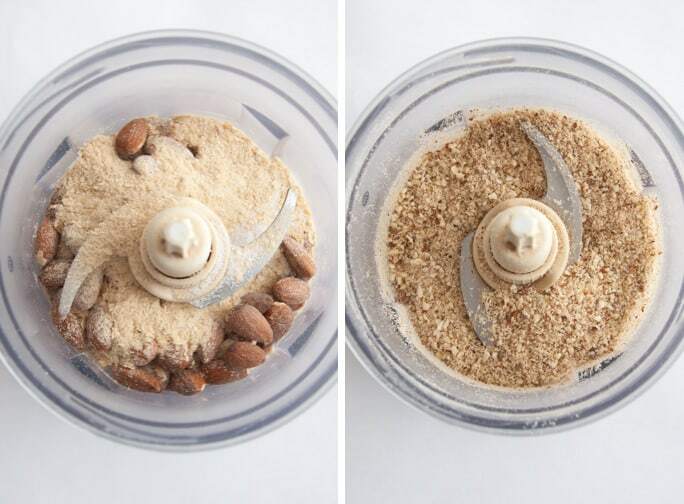 Storage: It is best to store the vegan parmesan in an airtight container, it will last a long time this way. I've never had any problems with it going bad or something like that! This post was first published on September 2, 2014. Updated on September 7, 2018.
could another nut be used instead of cashew? like walnut? walnuts, almonds, even sunflower seeds will work! Thank you so much for joining in! And I totally agree with you. I prefer cashews for the parmesan too and it yields the best cheesy results. & thank you so much for your kind words, I appreciate it! I can only find liquid cheese yeast here,could that work with this?And is it vegan? liquid cheese yeast? I’ve never heard of that! so I don’t know, sorry. Yes,they are the only ones here the ingredient is ‘mucor rennin’ mucor is some kind of mold. I think what you are looking at is the mold to make dairy cheese. It’s added to make the aging process go quicker (or something like that). So no, that would no be vegan. Nutritional yeast is dry flakes and can be purchased online and shipped to almost anywhere. It stays a really long time in a tightly sealed container in a dark closet or cabinet with out humidity. thanks again it is so yummy……? ..p.s. I made a batch and added some hemp seeds also for protein it was great with that addition too…. Added hemp seeds sound yummy too! I’ll have to try it some time! Hi, I’m allergic to yeast, just found out, so not sure if nutritional yeast is ok or not, will recipe work without it? It’s great to see the nutrition facts. Can you say what the portion is that the Nutrition Facts represent? Thanks! I just made this. I’m new to plant based eating and was just using nutritional yeast in place of parmesan. Really felt like I was missing out while the rest of my family enjoyed the real thig. Not anymore. This recipe is simple and right on the mark. Thank you for sharing!